Each month as part of our Virtual Book Club for Kids we feature different authors and books and we do book inspired crafts and activities. In April we spotlighted Laura Numeroff. 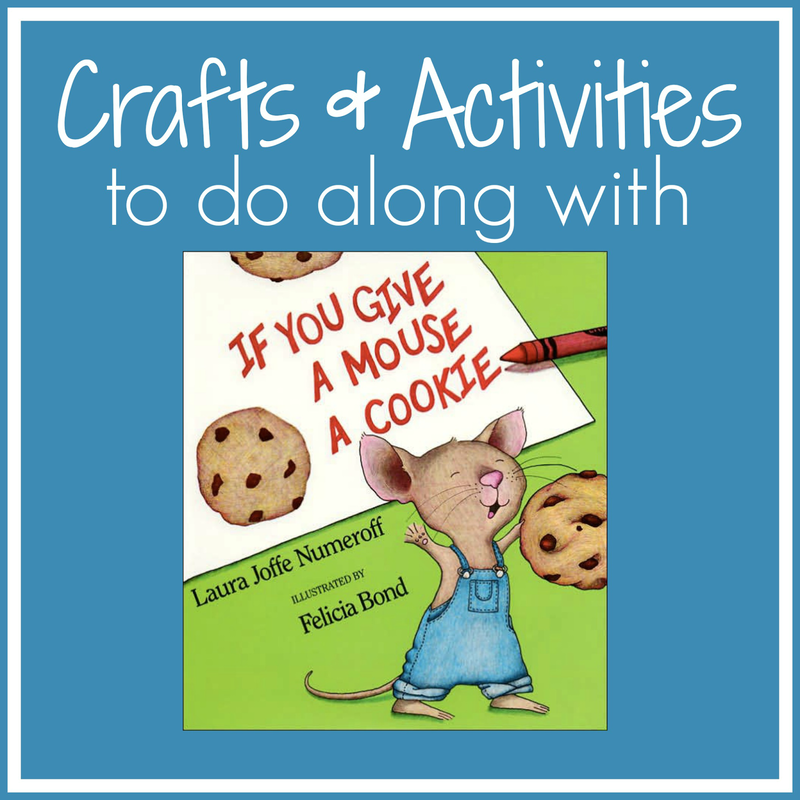 Today I'm excited to share some of the awesome activities that were created by our VBC participants in addition to some other If You Give a Mouse a Cookie crafts and activities that we love. Below you'll find several fun activities to go along with this fun book. Sometimes we like to do activities and crafts before we read and sometimes we like to do them afterwards! Just click on the links below to be directed to the full tutorials. If you have any favorite book inspired activities to share with us we'd love to hear about them too! 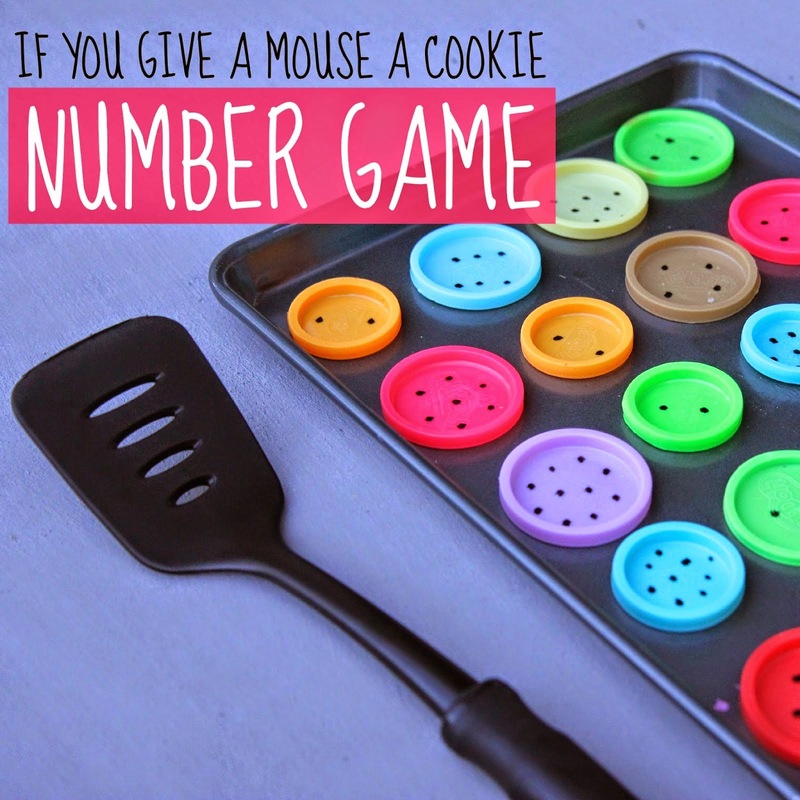 Our If You Give a Mouse a Cookie Number Game gets kids working on fine motor skills and counting! The Pleasantest Thing put together a Cookie Sensory Bottle for little ones. 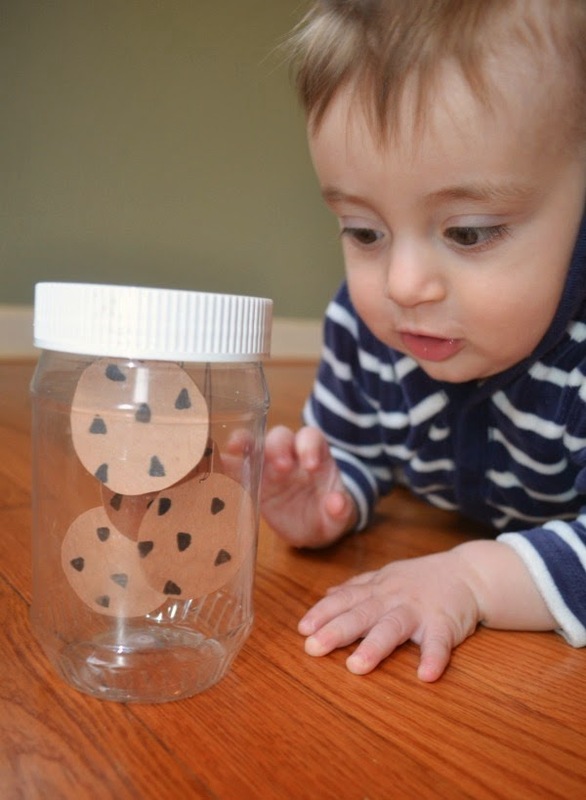 This is such a simple activity that even your littlest ones will love! 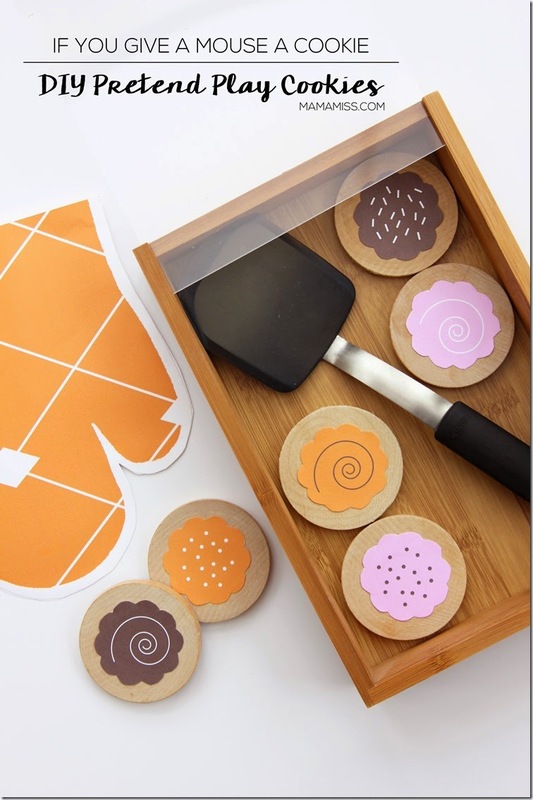 Mama Miss made some super awesome DIY pretend play cookies that kids can use as they play! I can't wait to try out her free printable and make a set of our own! Do you have any kids that like to make their own inventions? 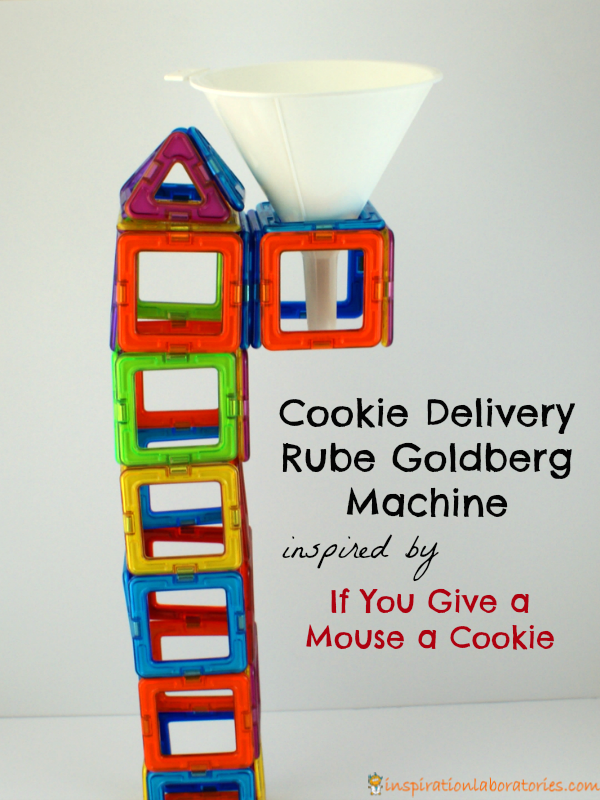 This Cookie Delivery Rube Goldberg Machine created by Inspiration Laboratories would be fun to try out! Have some older kids that want to play along too? 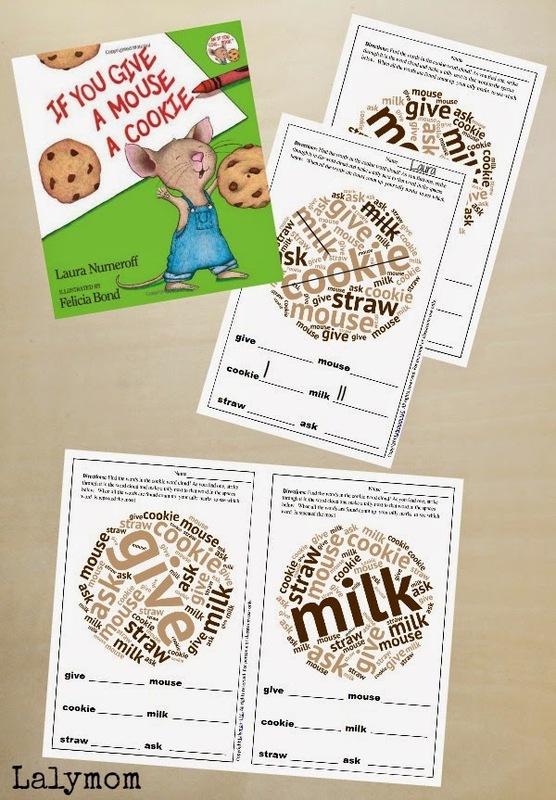 Here are some free word cloud printables from Lalymom to get kids having fun with the words they find in the book. 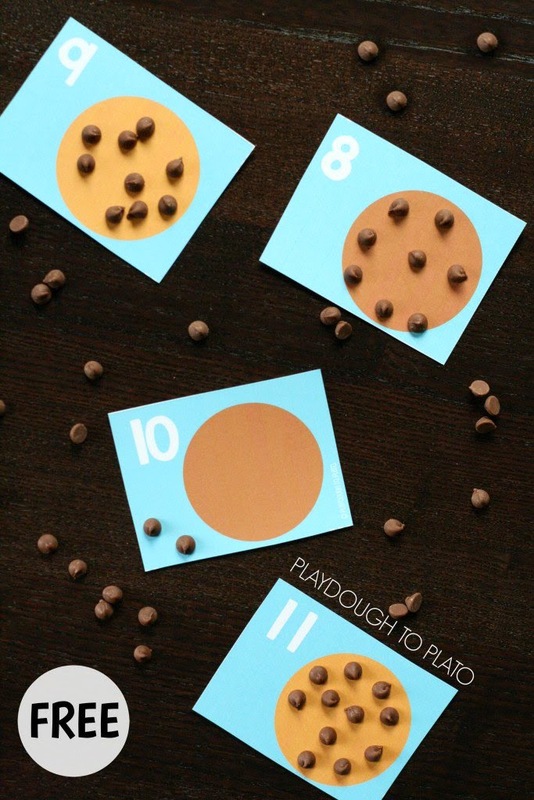 Playing with chocolate chips and counting?? This game is sure to be a hit with all kiddos! What a fun way to tie learning numbers to reading. Love this idea from Playdough to Plato. 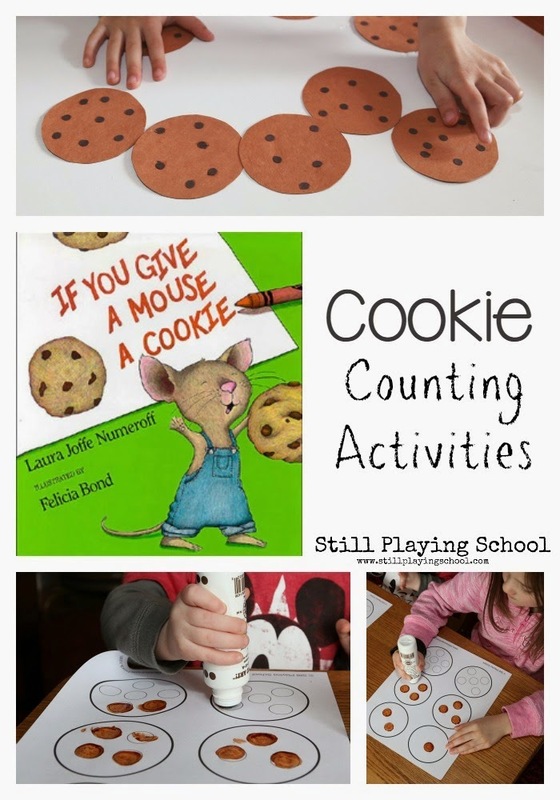 Still Playing School put together some easy peasy cookie counting activities using materials you probably already have around the house! So fun! 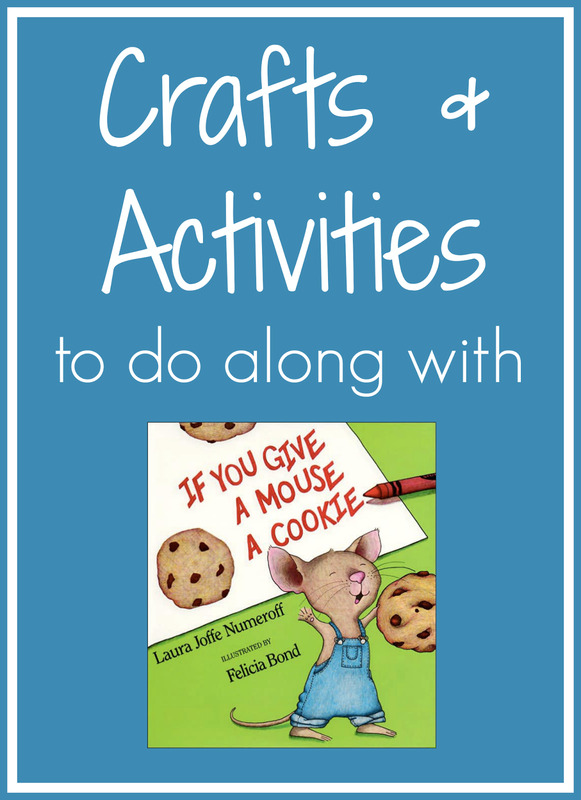 Do you have any other favorite activities you tried that go along with this book?? Tell me about them in the comments! Also don't forget to join us next month as we spotlight Eric Carle as part of our Virtual Book Club for Kids! If you want to get started early you can check out these 6 favorite activities to go along with our 6 favorite Eric Carle books.